Biggar Youth Project - services and activities for young people in the Biggar area! Study Leave - all S4, S5 and S6 pupils are welcome to come along during Study Leave. we are a safe place to go before or after exams. Open tomorrow (Thursday 24th) at 10.30 am. usual activities including Study Room, IT Suite, snacks and drinks, pool, board games etc. We look forward to seeing you tomorrow. We are a small voluntary group started by parents in September 1995 and still going strong! The Youth Project provides services and activities for young people aged 11 to 18 years in Biggar and the surrounding area. Our catchment area is that of Biggar High School, a vast rural area in excess of 300 square miles in southern Scotland. Currently we are open 11.00 to 3.00 Monday to Thursday and our Project Co-ordinator is usually in on a Friday as well. We can be contacted at auctionring@gmail.com or on 07840811508. 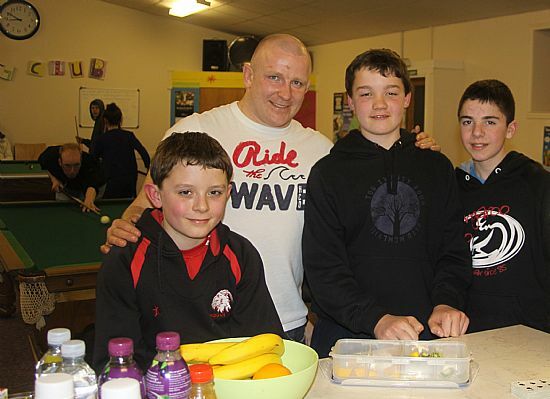 Scotland Rugby International Scott Lawson, ex member of BYP, calls in for a chat with fellow rugby players. 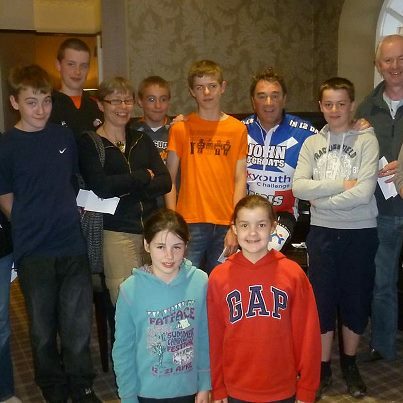 Welcoming Nigel Mansell to Biggar during his John O Groats to Paris Cycling Trip. 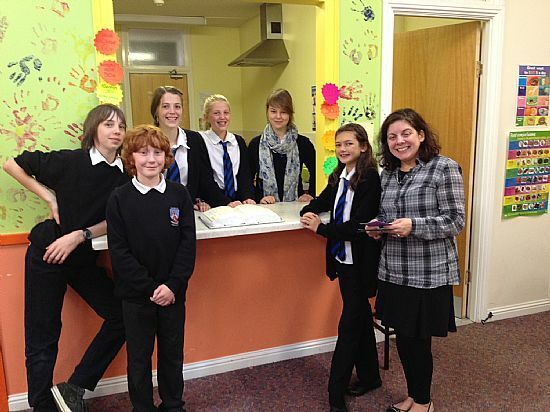 Young people along with parents/carers/grans who attended our first REHIS Food & Health Course. They all passed! Both the pool tables are always in use! Well Done! One in ten thousand! 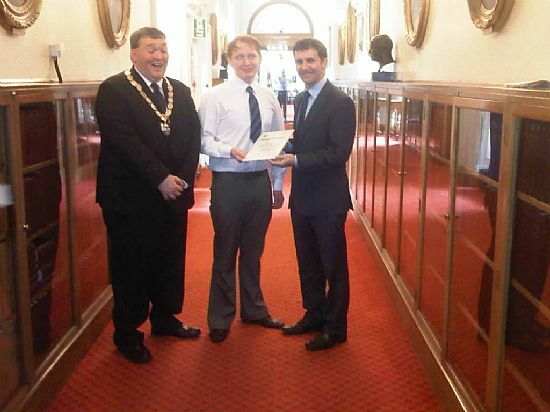 Micheal Forsyth presenting the 10,000th REHIS Food & Health certificate to one of our young people. Biggar Youth Project is currently funded by The Robertson Trust,The Gannochy Trust and South Lanarkshire Council.